Where better to look than the Mediterranean for healthy diet inspiration? 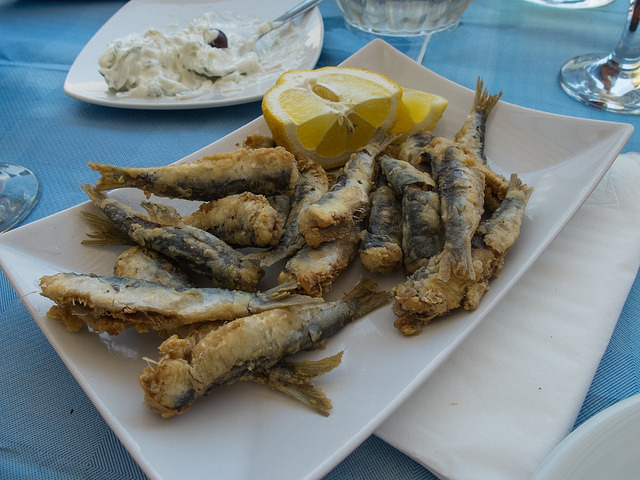 That said, try some delicious Greek food without going to Greece, at some of London’s fabulous Greek restaurants. We list the best places for some authentic cuisine in the UK’s capital. The Life Goddess on Store Street is a great restaurant. It has successfully moved away from the traditional Greek taverna, despite serving wholesome and hearty food. Pop in any time before midday for a coffee, cake or pastry or merely to peruse the shop. A pleasant and warming atmosphere, created in part by sparkling fairy lights and blues music, it is a lovely environment to while away the morning. However, the main event occurs at midday when enormous platters appear from the kitchen, piled high with super-fresh salads, meats and stuffed peppers. The only Greek restaurant in London to be part of a chain, The Real Greek is a popular choice for novices. As with most chains, there is a slight inconsistency in the quality of their food and service depending on which venue you visit, but it is likely your overall experience will be good whichever one you choose. There is an excellent choice of meze and deliciously marinated meats on their main menu with arguably the best souvlaki in London. For friendly service and a traditional Greek experience, Yialousa is the place to go. Many of the customers are Greek, which speaks volumes for its authenticity and the atmosphere has a lovely family feel to it. They have also extended their menu by offering other European dishes. At Yialousa the food is fresh, hearty and exactly what you would expect from a Greek taverna. Tucked away in North London, sits Nissi. In contrast to Yialousa, Nissi has a much more modern feel, which is reflected in their interior design and menus. They have an extensive and exciting meze menu, so sharing dishes are definitely the way to go here. Why not ring the changes with some louvi (black-eyed beans), pourgouri (bulgur wheat) or even a Dutch veal T-bone! Trust us, you won’t regret it. Our final suggestion is considered by many to be the best Greek restaurant in London. Mazi claim to ‘reinterpret old-time classic recipes with a modern twist’. They have succeeded in pulling this off beautifully and their elegant menus are testament to this achievement. The restaurant itself has a modern rustic charm, perfectly in keeping with their ethos. The food is elegant and sophisticated; of exceptional high quality and very reasonably priced.